40-80% of information shared in health care encounters with patients is misunderstood or not remembered. Addressing health literacy issues (The degree to which individuals have the capacity to obtain, process, and understand basic health information and services needed to make appropriate health decisions) is a critical component in creating a truly patient- and family-centered system of care and improving health outcomes. This webinar will explore the health literacy challenges and share how solutions are created through partnerships with patients and family advisors. Practical ideas, strategies and resources will be shared. Mary Minniti, CPHQ is a Certified Professional in Healthcare Quality with over 30 years experience in the field. She joined IPFCC in 2011 and currently works as a Senior Policy and Program Specialist. Mary works on a variety of national projects and initiatives including CMS’s Hospital Improvement Innovation Networks, CMS Transforming Clinical Practice Initiative (TCPI) and a PCORI-funded study on advance care planning in primary care. 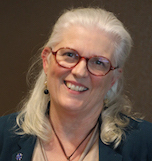 In the TCPI effort, she serves as the lead for IPFCC collaboration with the PCPCC SAN, developing webinar and video tools on patient and family engagement especially in the quality and safety arena. She works with the ACP SAN providing technical assistance to PTNs and practices on implementation of key person and family engagement strategies as well as development of on-line training modules. During her tenure with PeaceHealth, she worked in a variety of settings leading innovation projects across the continuum of care with an emphasis on partnerships for quality and safety. She has served on statewide and national committees on PCMH standards, patient-centered measurement, and community advisory council development. Martie Carnie is a 30 year, four-time survivor of breast and melanoma cancers, and a founding member and past co-chair of Dana-Farber’s Adult Patient and Family Advisory Council. Currently she is a Patient Advocate, Senior Patient Engagement Advisor and Co Chair of Brigham and Women's Hospital Patient and Family Advisory Council Steering Committee. 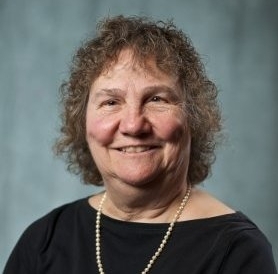 She is active on multiple councils, committees and projects, including patient safety, patient rounding, Joint Commission, Ambulatory Care, Care Improvement Teams, and coordinating activities at Dana-Farber and Brigham and Women’s Hospital. She serves as the patient voice in a number of capacities including at the Brigham Research Institute, as a PCORI Ambassador, an Institute for Healthcare Improvement Faculty member on Patient Engagement. 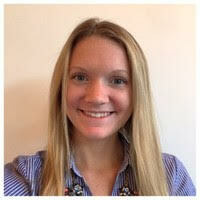 Erin Sturgeon, MBA has worked in the Center for Patients and Families at Brigham and Women’s Hospital for six years. She’s worked as a Project Specialist alongside Senior Patient Advisor, Martie Carnie providing guidance to hospital staff on new patient education materials for patients and family members. Most recently, she has worked as a Patient/Family Relations Specialist facilitating effective communication between patients, families and provider to advocate for the best possible outcome. Erin completed her undergraduate degree at Endicott College (Beverly, MA) and has earned her Masters Degree in Business Administration with a concentration in healthcare from Simmons College (University) of Boston, MA. *A group may participate in the same room on the call-in line. Live webinar participants will also receive 2 week access to a recording of the presentation, along with a handout of the slides and additional resources. **Recording Access Only registrants will also receive a handout of the slides and additional resources. The recording will be available to view for a duration of 2 weeks. This webinar is powered by ReadyTalk.